Mayor Cerino opened the budget workshop at 7:00 p.m. In attendance were Councilmembers David Foster, Linda C. Kuiper, Ellsworth Tolliver and Mauritz Stetson, along with W. S. Ingersoll (Town Manager), Jennifer Mulligan (Town Clerk), Amanda Miller (Accounting/Treasury Specialist) and guests. Mr. Ingersoll stated that Ms. Miller sent the Council third quarter reports and the Town was on budget this year. He said that for this upcoming year, the draft budget as proposed does not include any capital items or raises and the Town was not meeting expenses with projected revenues. Mr. Ingersoll stated that the bar charts show public safety and public works requiring most of the budget and there has been no grant in aid for duplicate services from Kent County since 2014. He said that actual expenses are over $3 million for services that Kent County does not have to provide to the Chestertown taxpayers. He said that the Chestertown tax payer is totally unrepresented in the Kent County budget. Mr. Ingersoll stated that the Town should receive a tax differential, or the taxpayers should receive a tax offset from the County of $.05 to $.10 to start (this could give the Town the justification to raise their taxes for the services the Town provides its citizens). Mr. Ingersoll stated that he emailed Ms. Heller at Kent County and asked whether they had a tax differential in their proposed budget. Ms. Heller indicated that they have been discussing the issue but were leaning more towards an offset than a differential. Mr. Ingersoll stated that the request for tax differential was due to real costs of the police department and street roads where the Town is doing the work. 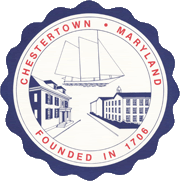 The taxpayers are paying County taxes and those funds are not being spent in Chestertown. Mr. Ingersoll stated that the present Council was very progressive in establishing an enterprise zone but the zone deferred taxes for 7 or so years, so the benefits of those taxes will not be seen initially. Mr. Ingersoll stated that the economy was better than it has been since the “great recession” but the property values are still not where they need to be. Mr. Ingersoll stated that Kent County has decided to send letters to Airbnb’s and VRBOs to notify them that they should be paying room rental taxes. He said that he sent a list to Ms. Heller today since only the County can collect the hotel tax. Mr. Ingersoll stated that revenues from taxes pay for tourism and economic development. Mayor Cerino asked how the shortfall was possible from end of March to June. Ms. Miller stated that there were WIP funds for the Marina which required a 50% match. She said that the funds the Town anticipated receiving were about $858,000.00 but the Town had to spend $1.6 million to get them. The $525,000.00 donation was used in the figures leaving a little under $300,000.00 out of pocket. Mayor Cerino stated that the Town then needed to raise $300,000.00 to break even on the Marina. Ms. Miller stated that the other figures are calculations based on annual costs each year. Ms. Miller stated that the projected real property assessed valuation may slightly increase from $2.17 million. Income taxes appear to be down by $2,000.00. Mr. Ingersoll stated that he thought this was a delayed decrease as the income tax funds depend on Wall Street and it has been a good year in the market. The funds are not received until June and because of the WIN case the State is careful in distributing the funds. Ms. Kuiper asked what percentage of income tax Kent County receives. Mr. Ingersoll stated that he thought that a municipalities’ scale was smaller than the County, but there was a percentage. Ms. Miller stated that state shared income was the admission and amusement tax which is basically nil without the movie theatre open, and that tax will go back to pay the loan for 3 years. Ms. Kuiper asked that Ms. Miller look into why the Garfield Center does not pay the admission and amusement tax. Mr. Ingersoll stated that the Town does not collect the tax and the question would have to be to the State Comptroller’s Office. Mr. Ingersoll stated that when the movie theatre was open the Town would receive $16,000 to $22,000 per year in admissions tax. Mr. Ingersoll stated that the Highway User Funds have been bumped up for FY2019 from $166,419 to $183,551. Mr. Ingersoll stated that Ms. Mulligan handles every permit that comes into Town Hall and after studying other Town’s fees thinks that the lowest minimum fee should be raised from $50.00 to $75.00. He said that he and Ms. Mulligan also reviewed other permit fees and that the Town could charge fees based on square footage (lower fees for smaller houses and larger fees for larger houses) based on $.50 per square foot. Commercial buildings would be based on the same figures, after 10,000 sq.ft. the per foot price would drop to $.25. Mr. Ingersoll stated that last year’s figures were based on Dixon building the first phase of the apartments, which never came to fruition and would probably not begin until FY2020. Mr. Ingersoll stated that he told Dixon he would hold harmless anything in the pipeline at this time for the next 12 months at the old permit fee. Ms. Miller stated that the only federal grant projections for FY2018-19 were the USDA Line of credit and grant. Mr. Ingersoll stated that this was the land raising project at the Marina. The loan for $598,000.00 for the Marina does not need to be repaid until 2021. Ms. Miller stated that the State grants were listed with $9,000.00 coming in from the AMOSS grant. AMOSS grant funds are given to the County and divided evenly among the municipalities for distribution to fire departments and rescue squads only. Mr. Ingersoll stated that there was a bikeways grant received for $68,600.00 for the final leg of the Rail-Trail to Foxley Manor. Ms. Miller stated that the Police Protection grant was down slightly from last year. Mr. Ingersoll stated that receiving the increased funds for hotel taxes will keep the Visitors Center open and help with our economic development efforts. Ms. Kuiper asked if the of $37,500.00 was for Ms. MacIntosh’s salary. Ms. Miller stated that the salary was under Schedule E-1. Mr. Ingersoll stated that the revenue part of the budget was where work was required because the expenses shown are hard to change. He said that there were no raises factored in at this point, there was a slight decrease in workmen’s compensation, and health insurance had not changed much. The only capital item in the budget is the Marina. Ms. Miller stated that the RedSpeed camera would generate $135,000. Ms. Kuiper stated that she would like to see the revenue from RedSpeed go directly to the police. Ms. Miller stated that the funds did go to the Police Department, noted by the code 200 on the left of the page. Ms. Miller reviewed expenses. Ms. Kuiper asked why there was $6,000.00 allotted for the Mayor and Council meetings and travel. Mr. Ingersoll stated that those were convention expenses. Ms. Kuiper and Mayor Cerino stated they were not attending the convention this year. Ms. Miller stated that hotels, meals and convention fees per person were high. Mr. Foster asked about the drop in salaries for Mayor and Council. Mr. Ingersoll stated that the salaries were not dropped but were split between Mayor and Council and the Utilities Commission. He said that other salaries have been paid in part by the Utilities Commission and the Mayor and Council should be as well. Ms. Miller stated that the Executive Department was Mr. Ingersoll, Mr. de Mooy and Ms. Mulligan and reviewed those expenses. Ms. Miller stated that Financial Administration included her and Ms. Lawson’s salaries. There are audit fees included (and a single audit at $6,500.00 that may be necessary due to the anticipated USDA expenditures). Professional fees are for Ms. Brenda Leaf of CBIZ who comes in to review the financial work of the Town. Ms. Miller stated that she is not needed as frequently as she was when Ms. Campbell first left, but it was good to have someone oversee and check the work. Mr. Stetson stated that when he was Chief of Police he mailed out an annual letter to all of the gas stations in Town looking for the best rate. He asked if Chief Baker did the same. Chief Baker stated that he had not. Mr. Stetson stated that he may want to look into Royal Farms and other gas stations for the best pricing. Ms. Miller stated that if banking information had to be provided in order to receive discounts, she was not comfortable giving the bank account numbers to businesses. Mr. Stetson stated that when officers go for training they should eat breakfast at home. He said that lunch is paid for, but some officers may be taking advantage of the benefit. Mr. Stetson stated that one of the reasons he wanted to see officers living in Town was so that when it came time to spend money, they would be spending their own money. He said that the taxpayers should not be paying for meals for officers who are on their way to a training session. Ms. Miller stated that there were hits to the police liability insurance through LGIT with an increase of 9½% to $24,000.00. Ms. Miller stated that the pension increased .68% bringing the Town’s contribution to 31.43% of police salaries. The rest of the Town employees’ pension percentages are 9%. Ms. Miller showed the retirees post-employment benefits, noting that there are 5 past employees receiving the benefit. She said that the Council might want to address the benefit at some point, creating an annual stipend to offset the cost of Medicare. Ms. Miller stated that she did question other Towns and they have found that it is simpler to give a stipend each year rather than wait for the retiree to present proof of insurance. Mr. Ingersoll stated that the personnel manual needs some reworking, especially when it comes to compensatory time. He said that this time was being misused by some departments and that compensatory time is not saved, it is to be taken immediately after the occurrence. He said that this will be addressed after budget. Ms. Miller stated that under public safety, the rescue squad receives donations of $15,000.00 from the Town, plus they receive half of the AMOSS funds discussed earlier. The fire department receives $41,500.00 and half of the AMOSS funds, noting the difference in the total amount is due to the fact that the Town also pays for a dumpster at the firehouse. Ms. Miller stated that the public works department was self-explanatory with no real changes. She said that Mr. Sappington is trying to get out of the uniform contract of $12,500.00. Mayor Cerino asked if there was a line item for paving. Ms. Miller stated that there was a line item but it did not contain a figure as there were no capital improvements listed in the draft budget, other than the marina. Mr. Ingersoll stated that the when Wallace Henry passed away, it was misstated that the trash company would no longer continue to operate. Mr. Ingersoll stated that Mr. Henry’s sons would like to be considered to carry on the garbage contract. He said that he had already had a conversation with them about changing to once a week pickup. Mr. Ingersoll stated that the current contractor was far more affordable than some other trash companies he checked with and they’ve had a 30 year partnership. Mr. Ingersoll stated that there was also a clause in the contract that there was a 90 day notice of opt-out period before their contract would end. Mr. Ingersoll stated that he was unaware if costs would change from $126,000.00 going from twice a week to once a week pickup but he would find out. Mr. Ingersoll stated that the landfill costs of $85,000.00 are paid by the Town. He said that there were no costs when Kent County had their own landfill. Kent County entered into a quad-county agreement in 1987 and abandoned their solid waste responsibilities, which was an injury to the Town due to the added costs of the landfill. Each county in the partnership has a 20 year span to host a quad-county landfill and right now Caroline County is about half way through their turn. Kent County is the next and last County in the rotation to have the landfill. Ms. Kuiper stated that she would like to see the recycling contract bid out and said that she would like to see if Green Opportunities is still in business. Mr. Ingersoll stated that Green Opportunities had been providing free recycling services to commercial businesses. Mr. Ingersoll stated that when revenues don’t match expenses, you either raise revenues or cut expenses. He said that he did not want to cut recycling but it was one of the things that could be cut. He said that it was Kent County used to perform curbside recycling county wide and now that their program was cut, they were using the Town’s Infinity Recycling number for their required State 15% recycling goal as a County. Ms. Miller stated that there was some wiggle room in recreational activities and showed the breakdown of which non-profit entities are funded, noting those that have not sent in a request for funding. Mr. Ingersoll stated that requests have been made to all non-profit groups to send a funding request in writing followed by a letter of when they need the payment. Mr. Stetson stated that he did not see the need to fund the Environmental Committee. He said that the movies were expensive and he did not agree how their money was spent for other things. He said that he would like to see the money go to an organization that implements their ideas rather than studying how things should be done. Mr. Foster stated that there are about 20 to 30 in attendance at each of their film series. Ms. Foster stated that there were studies done on trash collection and recycling. Ms. Miller stated that she provided the information for those studies. Ms. Kuiper stated that the Music in the Park Series’ numbers are low. Mr. Ingersoll stated that there was very little revenue collected last year. Ms. Miller stated that the donations are no longer funding the series. Ms. Kuiper asked if the series should be put on hold this year. Mr. Ingersoll stated that Ms. Jewel should be contacted to see if she booked any acts yet for this summer, saying that a modified program might be better this year. Ms. Miller stated that total recreation costs for next year was at $18,000.00. She said that the Library, Horizons and Mid-Shore Community Foundation have not put in requests. Ms. Miller stated that Crossroads Community put a request for funding for $2,000.00 for help to offset unmet dental expenses of 5,200.00 for clients on medical assistance living in Chestertown. She did not include it in the budget. Crossroads asked to come before the Mayor and Council on Monday, May 7th to present their request. Ms. Miller stated that the Town donated to Crossroads Community previously in the amount of $500.00. 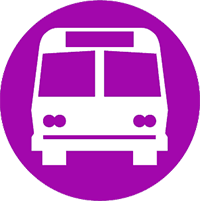 Ms. Miller stated that there was no longer an MVA bus expense because the Town does not pay for the phone line anymore. Mr. Ingersoll stated that he would like to contact the charities in the budget to see if they mean to request the funding this year. He said that he agreed with most of the requests as they did good work in the community. Mr. Ingersoll stated that the continued use of Town buildings by non-profits is becoming a drain on energy costs and cleaning fees. He said that more entities want to use Town space because there are charges for room rental in almost every other place available. He said that the idea of a fee for the room, especially when the goal of the group is not Town-oriented, should be discussed. He said that this fee could also be done administratively. Ms. Miller stated that there was $13,500.00 for Main Street in the Visitors Center Budget. Ms. Kuiper stated that she thought Main Street should not need money from the Town as their purpose is to find grants and become self-sufficient. Ms. Miller stated that there was $2,000.00 set aside for the National Music Festival although a request has not been made this year. There was $1,500.00 set aside for Christmas lights and $1,000.00 for music. Mayor Cerino stated that the $1,000.00 for music was paid by donations through Main Street for Dickens Weekend so that can be removed. Ms. Miller stated that debt service includes the police building, 2 leased cars, the trash compactor truck and street sweeper. Interest and expenses were listed. She said the sweeper payments would bend in the coming year. Mr. Ingersoll stated that Cannon Street Realtors gave their commission from the sale of the Cannon Street lots back to the Town to be used for recreation. He said that he would send a thank you letter. Ms. Miller stated that the Town has been paying the capital portion Marina bond, so the Marina owes the Town about $400,000.00. Mr. Ingersoll stated that there was a separate Marina budget although this year it was almost meaningless. They have some revenues for storage and were hoping the debt interest would be paid since there were no employees during the summer. She said that the budget lines were quartered to anticipate revenues, with the exception of the fuel tanks which will be filled. Ms. Miller said that if the Marina was open for Downrigging Weekend, the revenues could be larger. Mr. Ingersoll stated that the Utilities Budget looked to be in good order with them also carrying a healthy surplus, but looking at revenues versus expenses they were into depreciation. Mr. Ingersoll stated that the typical bill for water and sewer was $64.00 a quarter ($32.00 water / $32.00 sewer). He said that he and Mr. Sipes discussed raising the fees to $35.00 for water and $35.00 sewer for a total of $70.00 a quarter (not including the State of Maryland Bay Fee). Mr. Ingersoll stated that hookup fees were stable and set aside for capital projects. Mr. Ingersoll stated that there were some other fees that were not being captured in Chestertown, although they are charged by other Towns. He said that the Council may want to discuss fees for police and street crew services at events that are not Town sponsored. He said that Tea Party was a Town benefit, but there were many races and other events that are using the services of the crew and police without paying for them. Mr. Ingersoll stated that he would like to have a conversation on raising taxes, with the hope that Kent County will give an offset to the citizens of Chestertown, although he would prefer a representative amount of tax differential cash for duplicate services. He said that if the Commissioners would not give the money to Chestertown, they should give it to the taxpayers so the Town can inch up their taxes without impacting our citizens. Mayor Cerino stated that each penny added to the taxes was about $55,000.00. Without any cuts to the draft budget tonight would require a $.035 increase. Mr. Ingersoll stated that Chestertown has not raised taxes in 20 years, but Kent County has raised their taxes by $.05 in the last 10 years. Mr. Ingersoll stated that the Town could not go on forever without raising taxes unless there was growth in the tax base. Mr. Ingersoll stated that the Council and citizens had to put pressure the County Commissioners. He said that the Town has been unrepresented at the County level for a long time. There were over $3 million in costs that the County would have to provide if Chestertown was not incorporated. Mayor Cerino stated that the Council could trim tiny bits from the budget, but the costs were police officers and public works. He said the Town had to balance a budget that at this moment had no grant in aid and it did not include raises or capital improvements. Ms. Kuiper asked how much has been drawn on the line of credit. Ms. Miller stated that $117,000.00 has been used, $40,000 of which will be paid back before June 30. The remainder can’t be drawn until after July 1, so there will be some interest expense. Ms. Miller stated that the idea of using the line of credit was to pay it back as quickly as possible, minimizing the interest. Mr. Ingersoll stated that there was also some unappropriated surplus in a money market account. Ms. Miller stated that things were very tight until October when real estate taxes come in. Mr. Ingersoll stated that he expected that Chestertown would soon have a larger tax base, purely on assessments. Mr. Ingersoll stated, however, that he has not seen the rebound in property values since the recession. Mr. Foster asked the basis for the jump in revenues for 2019. Ms. Miller stated that the assessment office sends information to the Towns to use for budgeting purposes. Mr. Ingersoll stated that in last year’s budget he inched the revenues up a bit because the apartments for Dixon were expected to have been started. Mr. Ingersoll stated that revisiting the discussion of a PILOT (Payment In Lieu Of Taxes) may be a good idea since there is a new President in place at Washington College, noting PILOTs would make a significant improvement to Chestertown. Mayor Cerino stated that he ran the idea past the new President and he did think it would happen, adding that there is a tuition shortage. He said that they can raise money for new buildings, but the day to day operations are like Chestertown’s budget. Mr. Ingersoll stated that the Town’s main debt (outside of the Marina) was the police department, which they got for a steal at $475,000.00. He said that the Town could borrow but he would rather raise taxes at some point. He said that there will be benefits from the Enterprise Zone in a few years, but there are capital items such as street paving that need to take place now. If funding improves over time, the tax rate can be reduced. Ms. Kuiper stated that there was $500,000.00 coming from the State for the Marina. She asked if money had to be spent before it would be received. Ms. Miller stated that the capital grants were 100% and did not require a match. The Waterway Improvement Grant required the 50% match. Mr. Ingersoll stated that the work at the Marina was choreographed to balance out where it was not a burden on the taxpayer, except for the annual principal. The Marina has been running and paying off the interest to date. He said that there was currently about $400,000.00 of Town money in equity at the Marina. He said that the Town had assets well over debt and right now things were sluggish. Mr. Ingersoll stated that it was important to be careful not to lose employees as there are many hardworking individuals who work for the Town. Mr. Foster stated that he was concerned with the state of the roads and water and sewer. He said that he did not like to defer maintenance and didn’t want to raise taxes either, but at some point the Town had to take action. Mr. Ingersoll stated that he was not too concerned with underground operations at this time but the surface of the roads were worn and needed replacing. The Town had a great masonry crew always hard at work but he would like funds to help with road paving. Mr. Ingersoll stated that taking on the Marina was symbolic as it was a decayed mess and it was now beginning to show the fruits of labor. He said that he did not regret purchasing the new Police Department. He said that the Council should think of different ways to fund this year’s budget, possibly by taking a loan to fund the road program. Ms. Mulligan stated that at the last COG meeting she asked Mr. Pisapia when they last raised taxes. He said that although it was years ago, they raised it $.05 instead of the $.03 they needed to make ends meet so that they would not have to raise them again for several years. Mr. Ingersoll stated that if Kent County gave an offset, the tax increase for Chestertown would be completely justified and balanced. Mr. Foster stated that he thought the League of Women Voters may be able to press the question of tax differential at their forums with candidates running for Kent County Commissioner. Ms. Kuiper stated that there was a large percentage of the population over 65 who make less than $25,000.00 per year and are exempt from property taxes if they own their home. Chief Baker asked if there was an idea of what the tax revenue will be from Dixon when their new project is complete. Mr. Ingersoll stated that it will be life changing once the Town can collect taxes. He said that the street lights are going into the development now and the costs has risen 30% by Delmarva. The developer will pay for the street lights until they turn the roads over to the Town, but once that occurs the Town has to pay for the lights on those new roads and plow the roads, etc. There will not be many tax dollars coming in at that point. Ms. Miller stated that Town Hall required a new server for the computers that was $10,000.00 and that the Police Department would require a new server next year. Those were costs that must be incurred. There were several employees who needed new computers at their work stations. The Council decided to schedule an additional workshop session on Tuesday, May 8th at 6:00 p.m. There being no further business, the budget workshop closed at 9:00 p.m.